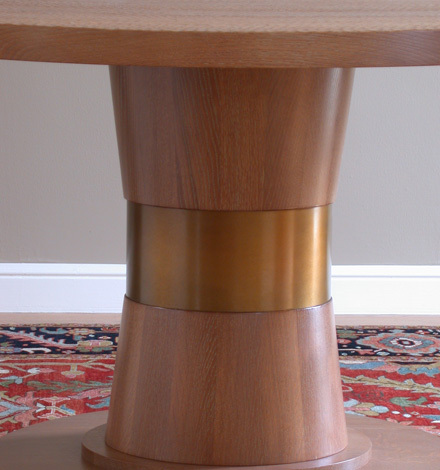 The boldly shaped Juno end table is topped with a hand patinaed bronze disc with a gracefully turned oak, mahogany, or walnut pedestal. 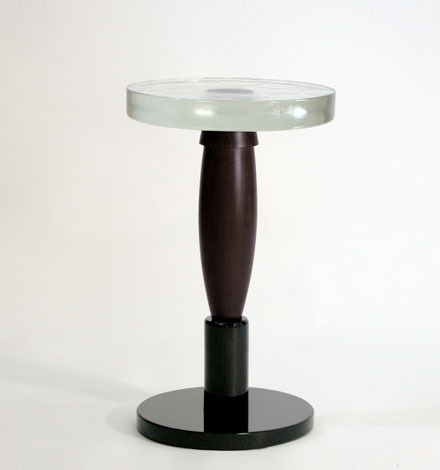 The polished and turned black granite base offers elegance and stability. 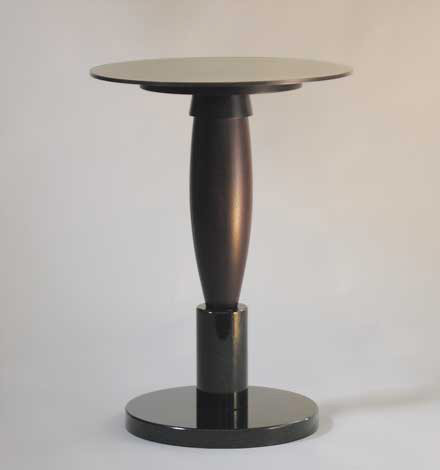 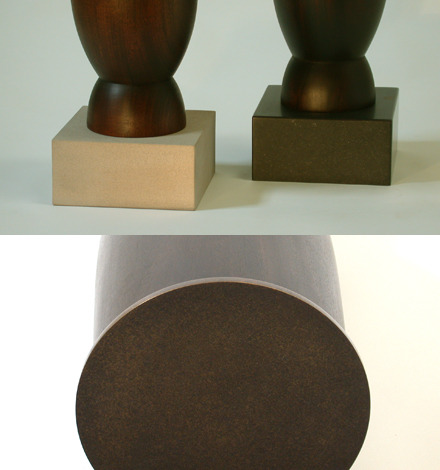 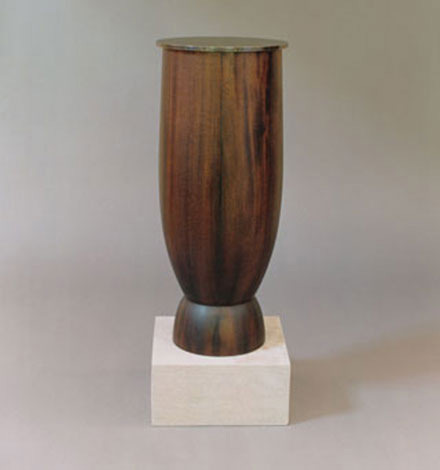 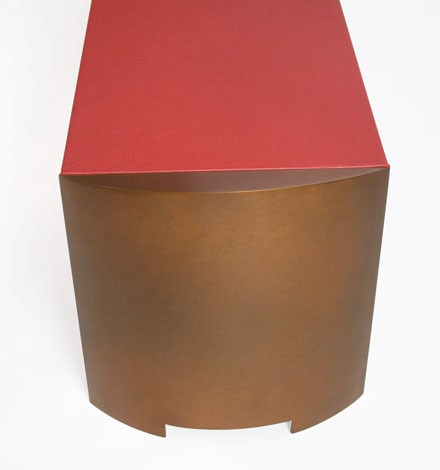 The sculptural Torso pedestal table comes with a hand patinaed bronze top, a solid mahogany body, and either a solid limestone or honed black granite base. 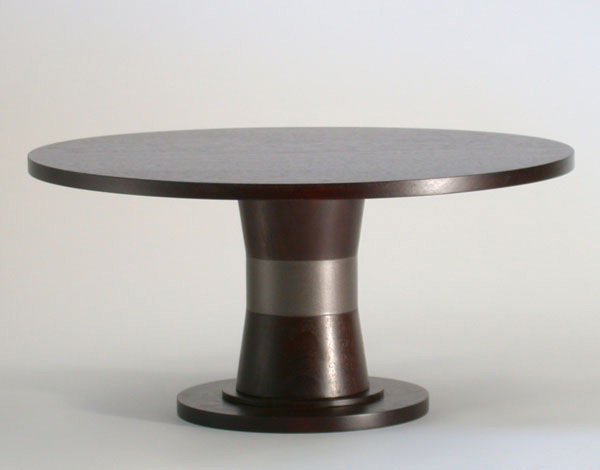 The bold silhouette of the Athena Dining Table features a band of metal that cinches into the middle of the table's pedestal support. 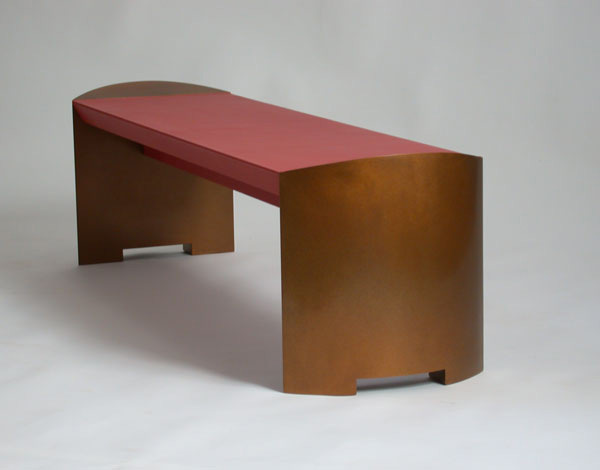 Le Pont bench/table consists of a leather covered or wood top with bronze or stainless steel legs, and is available in many sizes. 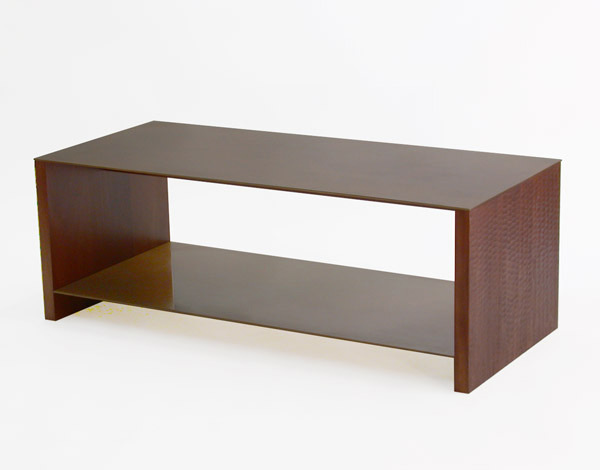 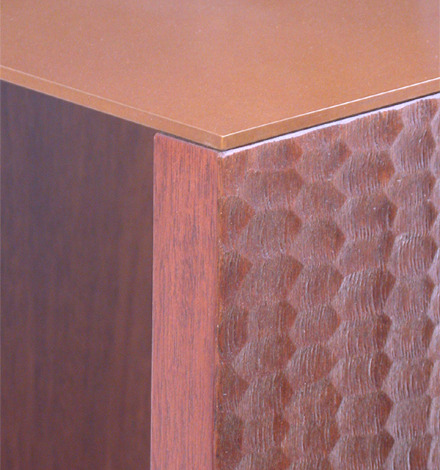 The elementally constructed Sequoia resonates with carved wooden vertical supports and patinaed bronze or stainless steel top and bottom shelf.